At PJW Accounting Limited we are huge advocates of the effectiveness of Xero as a tool to manage your business. 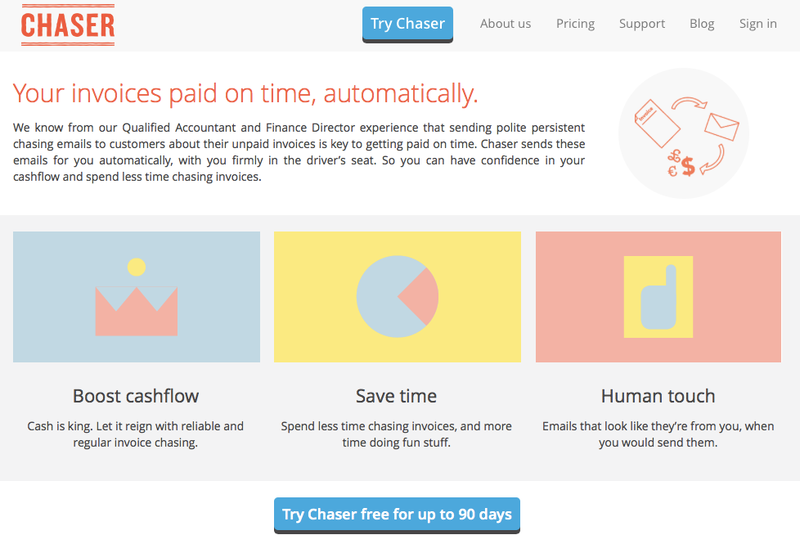 Here we are going to talk about a very useful add-on to Xero called Chaser. We have listed the numerous advantages of using Xero here. If you are not already using Xero we highly recommend you download a trial version and see for yourself the ease with which you can get to grips with the software. Tasks which used to take us hours now take a few minutes, releasing our time to do the things we're best at - saving clients tax and giving great business advice. One of the surprises we found with using Xero are the great number of add-on programs that work seamlessly with the software. One of the best I have come across is a program called Chaser. 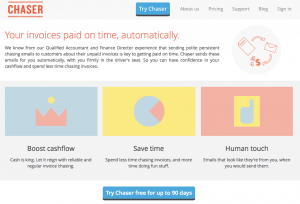 Chaser is a cloud based program (like Xero) that automatically takes all your unpaid invoices from Xero and sends them to Chaser who generate automatic reminders to pay you without you even needing to lift a finger. The emails that Chasers send to your clients are fully customisable. That means you can make your emails as soft or as aggressive as you like, depending on the length of time the debt has remained unpaid. The frequency of the reminders can also be amended so you can send email every day, every week or every month depending on how persistent you want to be. Another great feature that we like is the ability to choose who you chase. Therefore if there is a customer you have who you know will pay but you know will will pay late - just click a button "Stop Chasing" and the customer will be left alone. Chaser allow you 90 days free trial after which the Chasers start at a monthly cost of £10 for 20 Chasers. A full price list can be found here. We have been using the product for the last 3 months. In this time it has helped us successfully collect over £20,000 of overdue debts. I think you could say that's a good return on our investment. 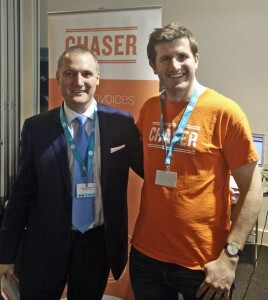 We caught up with the guys at Chaser at the Evolve Xero event in Birmingham in March and had the pleasure of meeting David Tuck from Chaser (see photo below). David is a co-founder of Chaser and would happy to speak to you on any aspect of the software and how it can help your business. Alternatively why not try the software for 90 days and see for yourself the effectiveness of this incredibly easy way of keeping control of your poor payers.